This itinerary introduces you to Croatian culture, magnificent natural wonders and some of the best attractions this great country has to offer. Start from the bustling capital of Zagreb, continue to the turquoise lakes of Plitvice National Park then down to the Adriatic coastline and the charming cobbled stone streets of Zadar, Trogir and Split, ending in the world famous historic walled city of Dubrovnik. Available daily year round and itinerary can be adjusted to suit your needs & preferences. 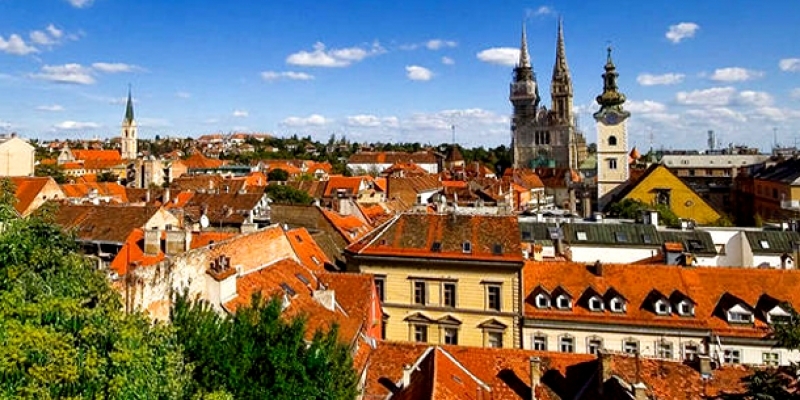 *Additional hotel accommodation and airport transfers prior tour start can be arranged as "add-on"
Noon meet in the hotel lobby with local guide who will take you on a tour of Zagreb. See the old fortified Upper Town. Cathedral of St Stephen, St. Mark's church with its multicolored roof and the town market. Evening enjoy a welcome dinner at a family-owned restaurant. 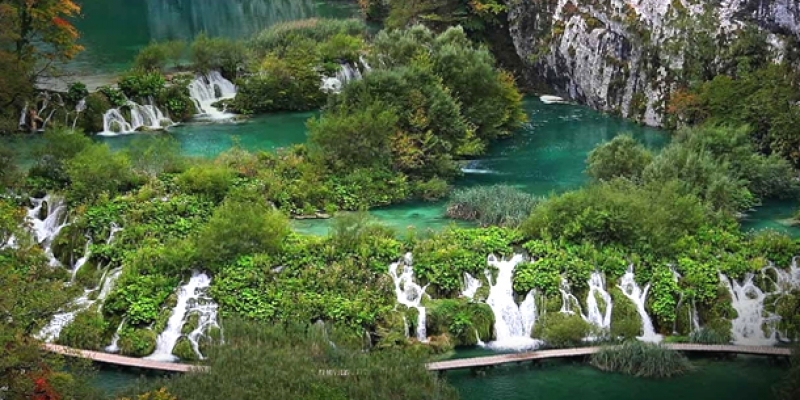 Depart from Zagreb to the amazing Plitvice National Park. Here enjoy a short journey along the wooden paths down to the breathtaking waterfalls and turquoise lakes. There are a total of 16 lakes joined together by waterfalls. A boat ride on the largest lake in Croatia allows you to feel like you have escaped the stresses of life. Lunch taken at a local restaurant specializing in traditional Croatian cuisine. Then continue to the coastal town of Zadar for overnight stay. This morning explore Zadar, with its old town centre built inside the old city walls, marble streets and a blend of modem and ancient architecture. Disover St. Donatus church, the ancient Roman forum and the Sea Organs. Continue on a scenic journey through the beautiful Krka National Park, stopping near Skradin and enjoy a traditional Croatian lunch. At Krka visit the old restored mills, traditional houses and the "Skradlnski Buk" which is one of the most beautiful waterfalls in Europe. If weather permits swim underneath these magical waterfalls. Visit another UNESCO World Heritage site, the medieval town of Trogir, a city that has not changed in 2300yrs. Made completely of stone there is no modem architecture to be found here. You will never want to leave this charming city. No time in Croatia would be complete without a visit of Split, the 2nd largest city of Croatia. Here the Roman Emperor Diocletian decided to spend his last days and built an amazing palace whose walls have stood for centuries. This is the heart of the city and some of its chambers have been turned into bars, shops and restaurants. There are 220 buildings within the palace walls and the labyrinth of the streets will guide you through a blend of contemporary and ancient Roman architecture. Part of the afternoon is free at leisure until depart on the “Makarska Riviera” to Dubrovnik. 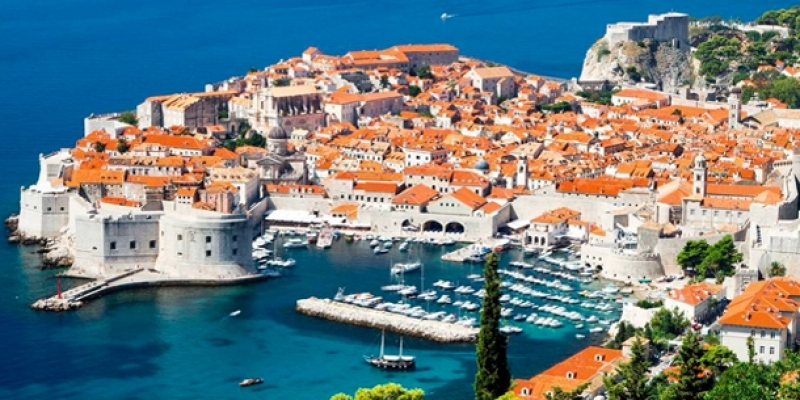 The "Pearl of the Adriatic", Dubrovnik. Here wander along the famous main street and visit the Franciscan monastery, the beautiful Renaissance Sponza Palace and many more sites in the old city, surrounded by several fortresses and towers. The afternoon is free to relax, shop, wander the streets or walk the city walls for amazing views.